l'Ensemble Vocal Cant'Ouvèze consist of some 40 choral singers coming from the Southern Drôme and Northern Vaucluse. All of them are amateurs. There is no selection criterium but having a good ear for music. 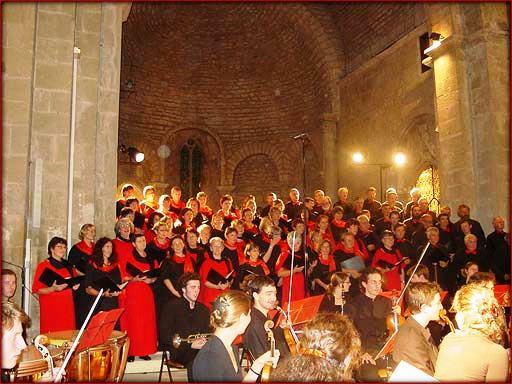 orchestras and gives regularly concerts in the Provencal Drôme and Haut Vaucluse.